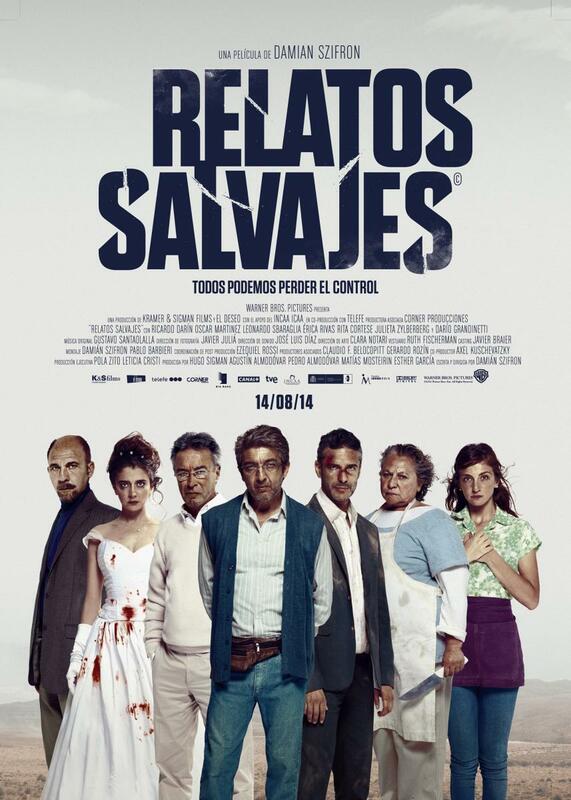 Relatos salvajes (Wild Tales) is a 2014 Argentine-Spanish black comedy anthology film written and directed by Damián Szifron. The film was nominated for the Best Foreign Language Film at the 87th Academy Awards. The font used for the film title in the poster is very similar to Tungsten Bold, a compact and sporty sans serif font created by Hoefler & Co. The font family is available in four widths: Normal, Narrow, Condensed and Compressed, each with 8 styles ranging from Thin to Black. You can view more details about it here. The Tungsten font identified above is not available for free, please follow the link above and purchase the font. Meanwhile, you can take a look at our collection of fonts for cars, pop music and apparel as well as round-ups of new & fresh fonts around the web. In addition to Relatos salvajes, Tungsten typeface is also used in the following logos, movie posters or album covers etc., including: Walking Dead, Red (Taylor Swift), Just Dance (Video Game), Guitar Hero Live, Central Intelligence.